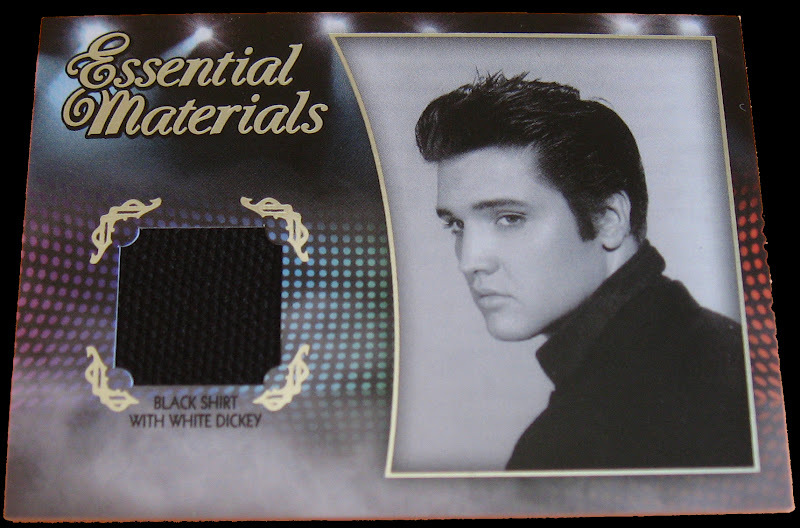 A simple one sentence review of 2012 Press Pass Essential Elvis cards would be “A must have for all Elvis fans.” As usual, Press Pass delivers a perfectly executed premium set and from the looks of most breaks, there isn’t a bad box to be found. 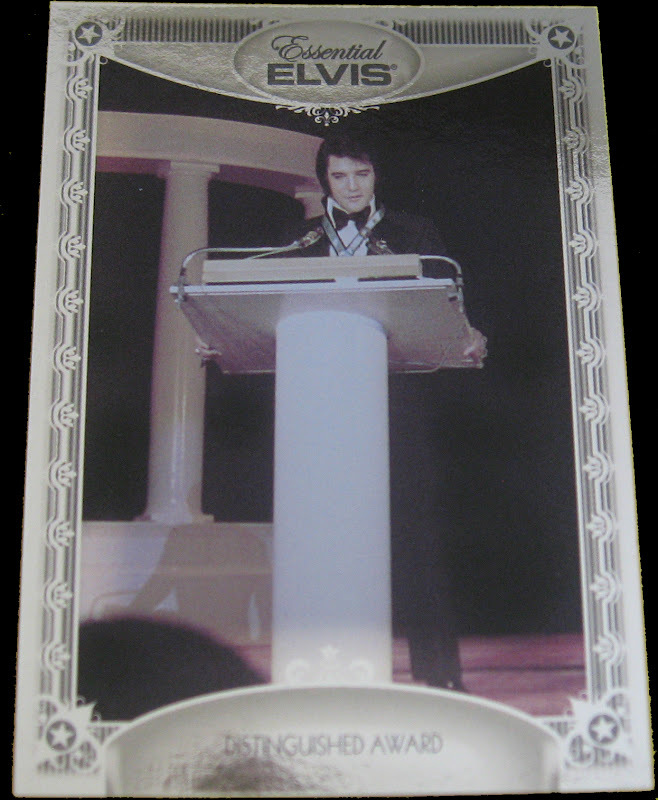 Press Pass Essential Elvis falls under our premium cards category. 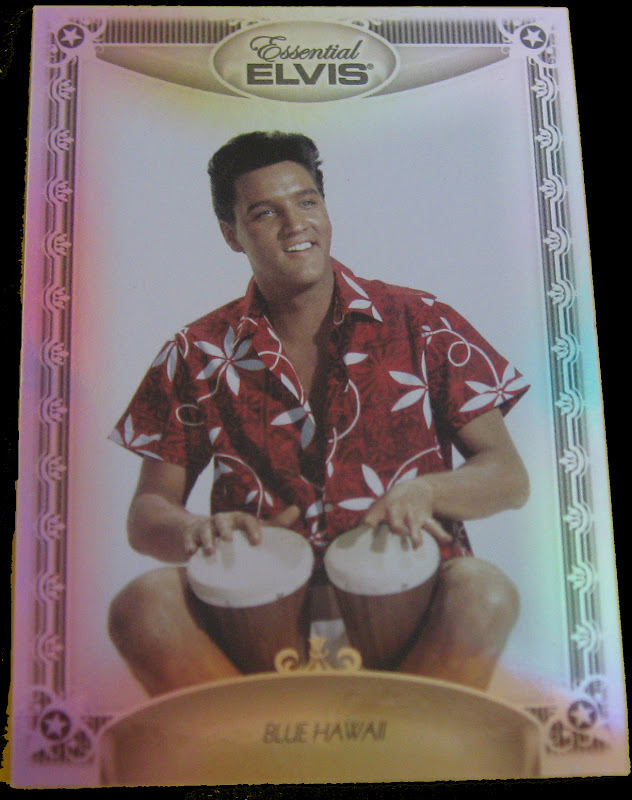 Each box contains 7 cards with 3 base cards, 1 hollofoil base set parallel and 3 hits consisting of at least 1 Autograph and 1 relic card with the third card being an additional relic, autograph or sketch card. 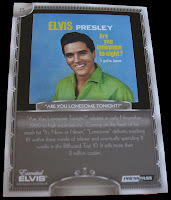 Here are of the cards from our box. 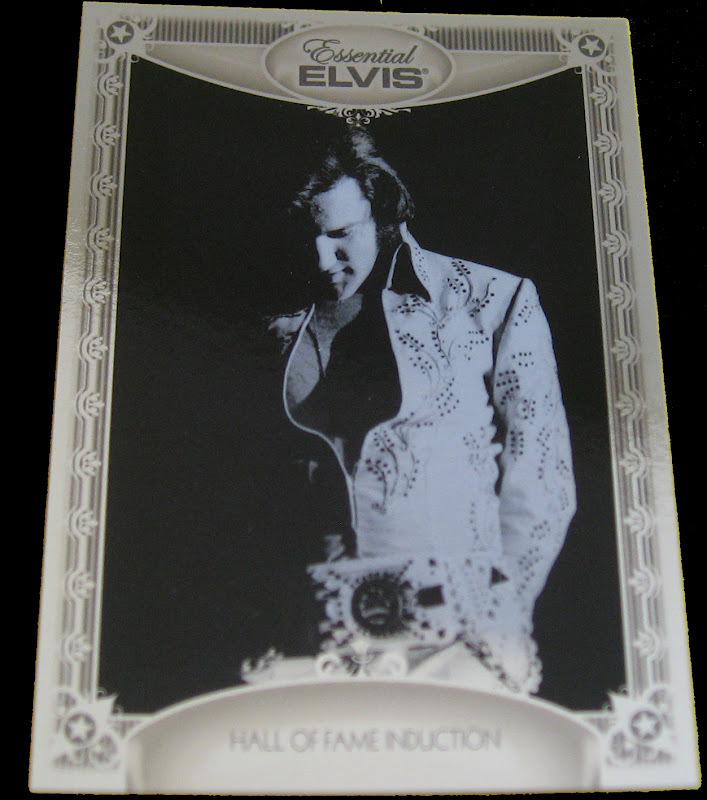 The silver foil on these cards makes them look quite rich. 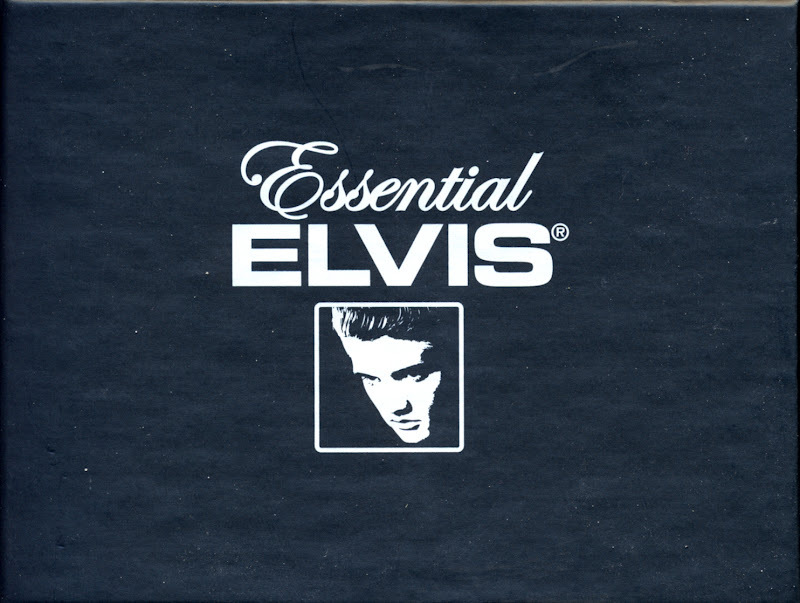 There is a nice selection of photos used here. 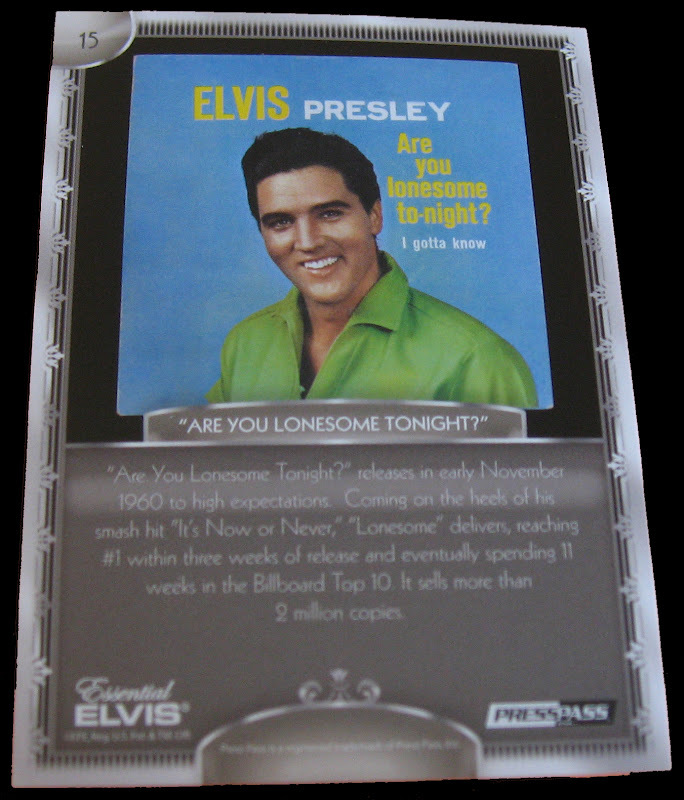 The backs of the cards hold up as well as the fronts. 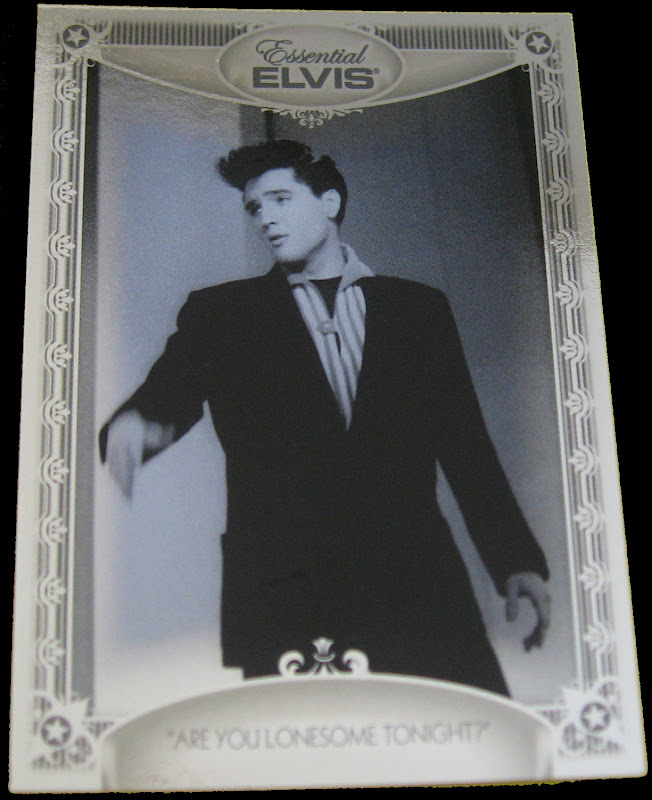 The design of the Autograph and Relic cards is great too. 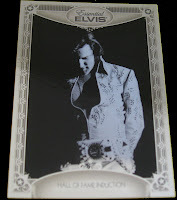 In particular, the die cut for the Elvis cut auto relic is one of the best I’ve seen for this category of cards. With a diverse mixture of former friends, band mates and leading ladies, the autograph list is very well done. 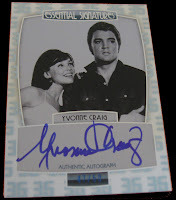 Some of the actresses like Mary Tyler Moore, Barbara Eden and Yvonne Craig have cross over appeal too. Who wouldn’t want to add Mary Richards, Jeannie and Batgirl to their collection? 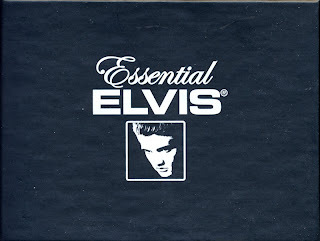 To be guaranteed at least one Elvis relic in every box is awesome. 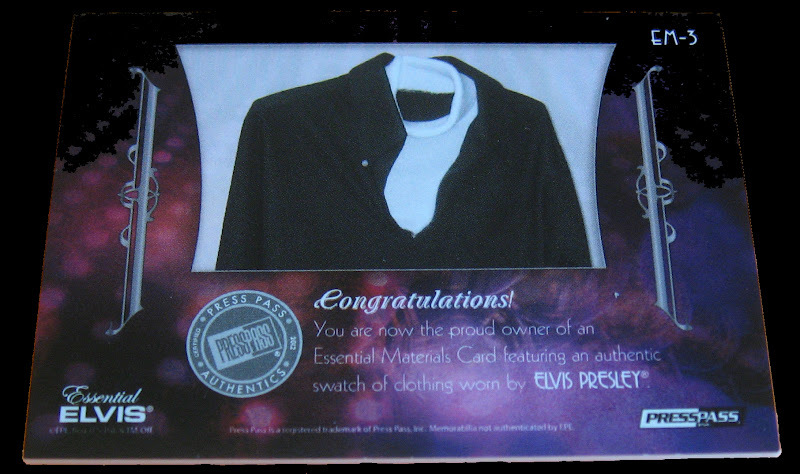 Add to that a picture of the actual item the swatch came from and it takes the card to a different level. The jumbo and multi swatch cards are amazing. 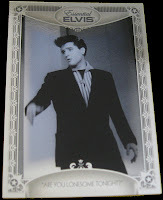 Of course, the cut autos of Elvis Presley make for a great chase. Honestly, I can easily see multiple box purchases if not by the case, but if one box is all you can swing, you will be going home happy. 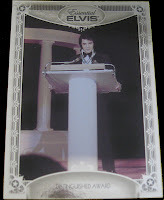 2012 Press Pass Essential Elvis should be a part of your collection.